Once you’ve submitted your directory listing request we’ll take the information you provide, to create your company page and website link. As soon as your directory listing is live, you can then track any reviews and ratings you receive automatically using our RSS service. 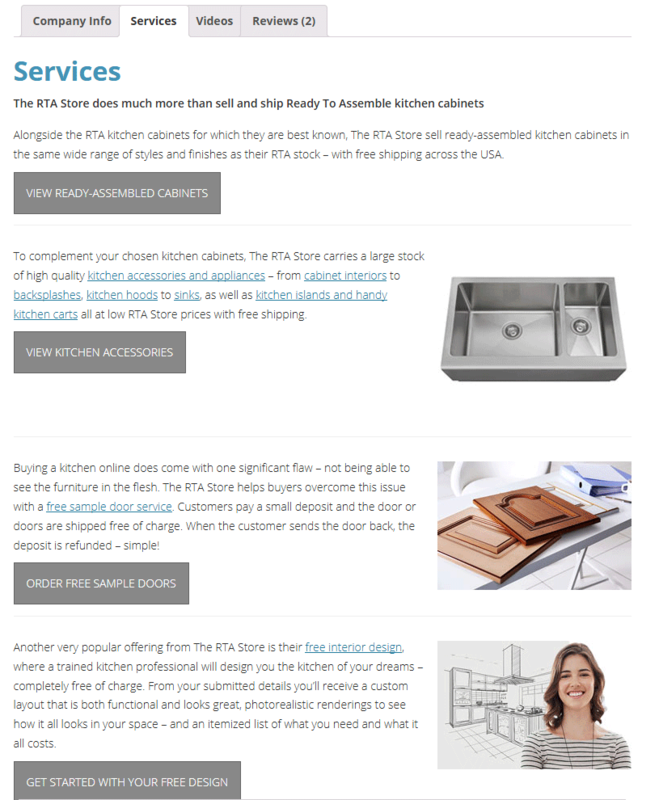 Happy clients can even upload photos of their completed kitchens – giving your listing a much bigger footprint! Note: Free listings will be added on a first come first served basis. Paid listings receive priority in being added and therefore due to demand, free listings may take up to 4 weeks to be added to the site. We reserve the right to refuse listings. Standard listings are displayed ahead of free kitchen directory listings. Once you’ve submitted your listing request and paid our listing fee, we’ll take the information you provide, to create your page and website links. We’ll add a screen-grabbed image of your website home page, we’ll find and quote a short excerpt from your “about us” page and then we’ll write a brief summary of your company alongside a list of your services offered, product details and other practical information. As soon as your directory listing is live, you can track any reviews and ratings you receive automatically using our RSS service. Happy clients can also upload photos of their completed kitchens – giving your listing an even larger footprint! All details are added manually by our in-house listings team. When we receive your application and fee, one of our expert listings team will get to work producing your premium listing. 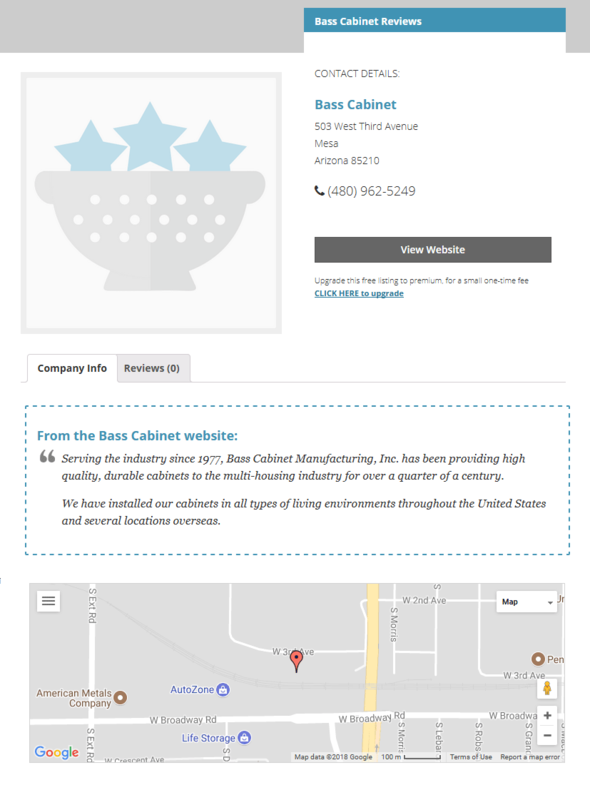 A premium listing includes a full-width “hero” image at the top of the page showing a product photo of your choice. 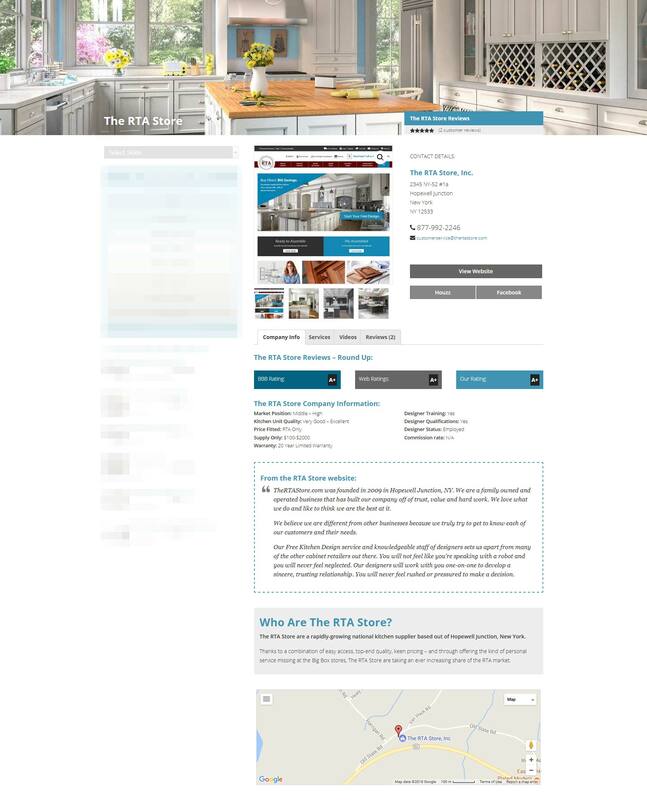 The main company info tab contains extra product images below your screenshot, a link to your Houzz profile and links to any social accounts required. Premium listings contain valuable additional tabs – services and video. We add a screen-grabbed image of your website home page, we’ll find and quote a short excerpt from your “about us” page and then we’ll write a brief summary of your company alongside a list of your services offered, product details and other practical information. The services tab is where you promote your services to potential customers. What you do. Why you should do it for them. What makes you best. We will add additional product images as supplied, or taken from your website – with links to your various services. 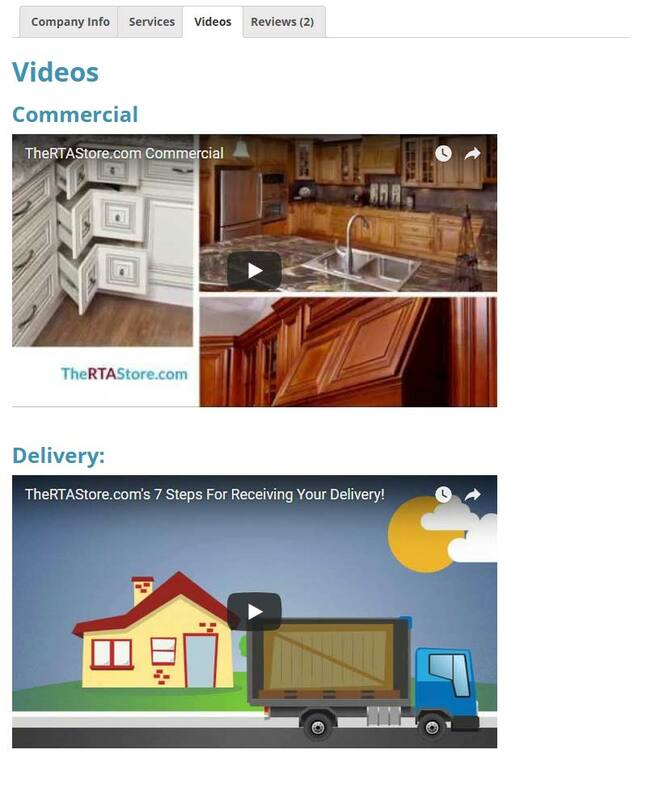 The video tab is a place to sell your company through video. The tab can hold up to 5 promotional or information videos with a brief description of each. We will add promotional videos, and descriptions as required. We will add links to your BBB listing, Houzz listing and any social channels required. You get so much more than a standard listing. We work side by side with premium clients to make the best possible directory listings. From helping with written copy, to resizing images for a perfect fit, our team knows the importance of a good first impression. *All links are direct to your site. All non-editorial links may be tagged “no_follow” to adhere to search engine guidelines.